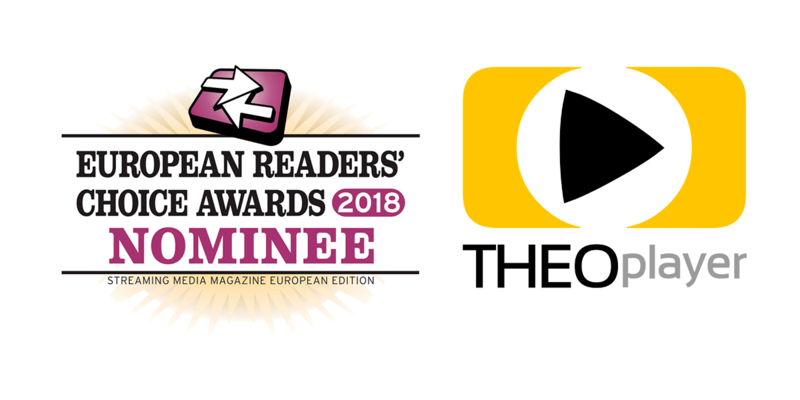 We are thrilled to announce that THEOplayer has been nominated for 2018 Streaming Media Readers’ Choice Award. This program rewards the best European products and services in the online video industry selected by you. You play the most important role in this competition: you can help us win this award, by naming us Best Video Player Solution / SDK in Europe, just like you did over the past 2 years. All you have to do is voting here. We prepared a short video for you to show you how to vote for THEOplayer in the category “Video Player Solution/SDK”. It takes less than a minute and it can proclaim us winners for the 3rd time in a row, which will reaffirm and consolidate our position in the online video industry. Voting is open until August 3rd. After that, every voter will receive an email asking to confirm your vote. Only the confirmations will be counted, so don’t miss this email or your vote will be discarded. Thanks in advance for voting us! Let's win this award together!